Stone, thatch, with doors and windows from an original 1849 chapel creates the special setting in which to take your vows. Add spectacular views, sprawling green lawns, an immaculate rose garden and attention to detail, and you couldn’t wish for a more perfect wedding venue. 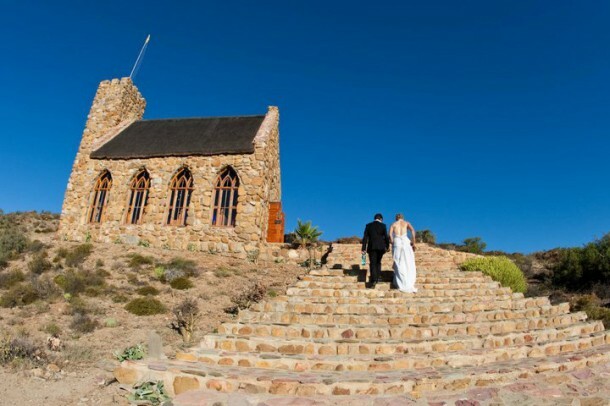 The stone chapel and wedding venue at Lord’s Guest Lodge in McGregor can accommodate a maximum of 80 people with great comfort and care. At Lord’s Guest Lodge, every wedding is treated individually. It gives the Team at Lord’s great pleasure to enlighten and assist in planning and arranging your wedding day and they offer a special package to the bridal couple, considering all the expenses on the special day. 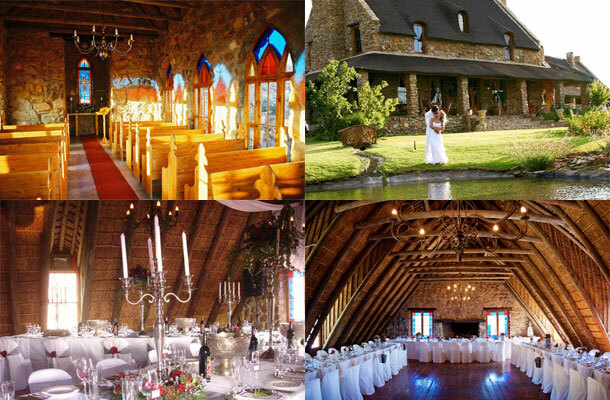 For further details on their wedding package, contact Melane on Telephone +27 (0)23 625-1881 or on her mobile: +27 (0)72 368-5997 or see Lord’s Guest Lodge for more info and photos.